Holland America offers Included Gratuities and more ..
Princess Asia & Japan Air Deals! A short 58km from Brisbane in Moreton Bay lies beautiful Moreton Island. Since making its debut as a Cruise destination in 2013, Moreton Island has become a popular cheap cruise destination from Sydney. P&O offers regular 4 day Cruises from Sydney to Moreton Island with a full day on the Island and a day at sea each side. The early morning arrival and departure at around 8pm ensure's you'll get to experience the wonders of this small but beautiful Island destination. A short 3 Day Cruise is also offered from Brisbane to Moreton Island. Moreton is the third largest sand island in the world at 38km long, and 8km wide at its widest point. The island is 98% national park to protect the islands abundance of marine life and natural ecology. There are no sealed roads on Moreton Island, so it tends to attract people who have a sense of adventure, and a love of the great outdoors. The island is popular with Brisbane locals who love to escape city life. Moreton Islands balmy water attracts dolphins, whales, and stingrays. P&O in partnership with Tangalooma Island Resort offer a wide range of activities when cruise ships arrive. As with Australia, English is spoken on Moreton Island. Moreton Island uses the same currency as Australia being the Australian Dollar. 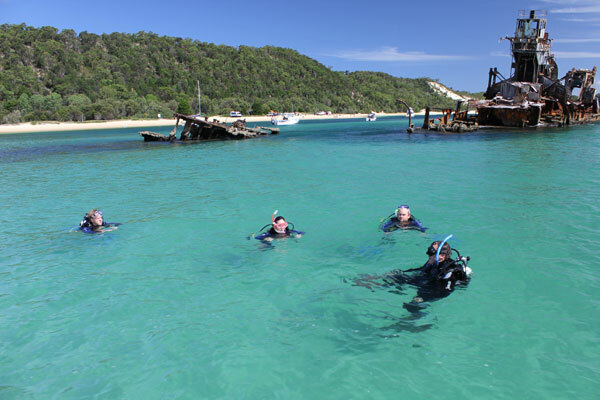 Getting around Moreton Island is possible by organised tours only. 4WD bus tours, bay cruises and Helicopter flights are popular amongst vistors from Tangalooma. Sunscreen, Hat and Sunglasses. The Australian sun is extremely harsh especially over the Summer months. Cover up to avoid any unnecessary sunburn on your cruise. 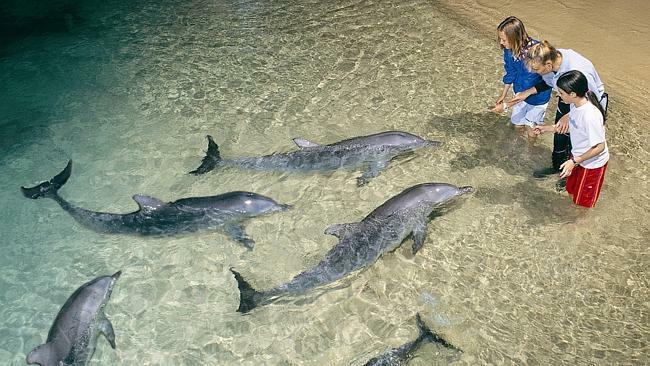 A visit to Moreton Island is not complete without a Wild Dolphin Discovery Tour. Moreton Island is one of the few places in Australia where you can wade in waist deep water to allow you to be up close to Dolphins. This is the main reason Cruises to Moreton Island are most popular. The closest beach to the Cruise Ship is Tangalooma Beach. The 8km beach from Tangalooma Point to Cowan Point can be accessed by foot from the Resort. Cowan Beach is popular with Familes and also contains some interesting war relics. Bulwer Beach is a popular destination for snorkelers and swimmers and to catch the sunset across Moreton Bay.